On January 1, 2015, the maximum amount of annual earnings subject to the Social Security tax -- a.k.a. the payroll tax cap -- increased to $118,500. Every year, this cap is adjusted to keep up with inflation. However, many American workers are not aware that any wages above the cap are not taxed by Social Security. 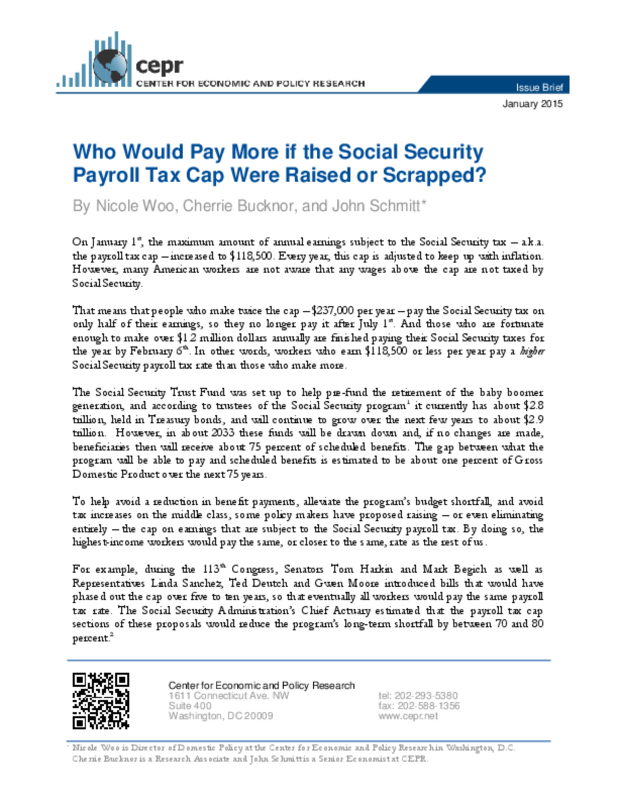 Title: Who Would Pay More if the Social Security Payroll Tax Cap Were Raised or Scrapped?